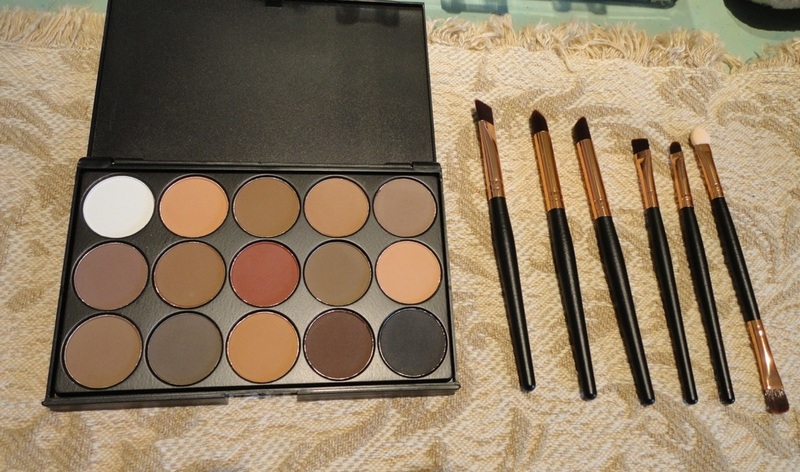 A very useful and fun palette with 15 very natural earth-coloured shades and 6 super brushes (one double-tipped) of the exact size and type for eye makeup. I have lots of face brushes for foundation, blusher, contouring etc., but never enough of the smaller, more precise brushes for eye shadow, so these are very welcome. The powder quality is a little dry but once applied, it blends and sets surprisingly well and seems to last long enough without creasing. The shades are more saturated then they look, especially the dark, smokey browns and the charcoal grey which is almost black on the skin. They are also not as similar to one another as they appear in the box. The white is a very light shade that blends with other colours, so not chalky white at all. Suitable for eyebrows, contouring and the whole face, not just the eyes. Not the best quality I've ever seen but extremely good for the price and so convenient to have all those shades in a very slim compact. A perfect starter set and would make a cute present. A new brand to me, what intrigued me was the price. As I had put together a fairly large order, the additional shipping charge was minimal and I know I can always use an extra mascara for the pool bag. The description says “mega volume and length”. Well, at first I was skeptical as the product on the brush looked very clean and there was no sign of extra fibres. However, once on, it does make my lashes stand out. As with other brands, a second coat is needed to get the full look. 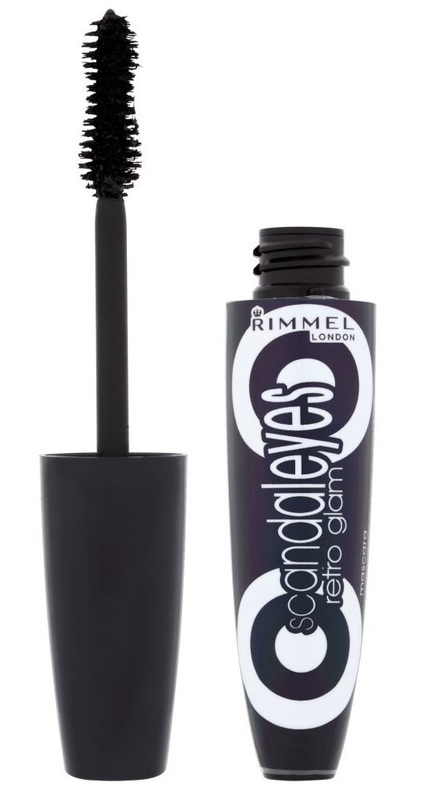 The formula has good durability and does not smudge or flake off. I particularly like the brush shape. The bristles are short on one side (to get the stuff properly on lower lashes especially) and much longer and quite stiff on the other side (to brush out and separate longer lashes). It's not my first choice for a special occasion but I find it perfectly adequate for everyday use and touch-ups and, at this price, it's difficult to fault it. Five stars because it really offers exceptional value for money. For years Maybelline has been my favourite brand of mascara. Colossal feels quite natural, goes on easily thanks to the pointed brush that reaches well into the corners of the eye. Stays on well but is easy to remove (I use almond oil). My lashes are long but sparse so they need the thickening effect. I find that two coats are sufficient and I don't notice any flaking bits (unlike some other volumising mascaras). Every so often I try something else, but I always come back to Maybelline (although things may change now that I have found Rimmel's Scandaleyes - see review). 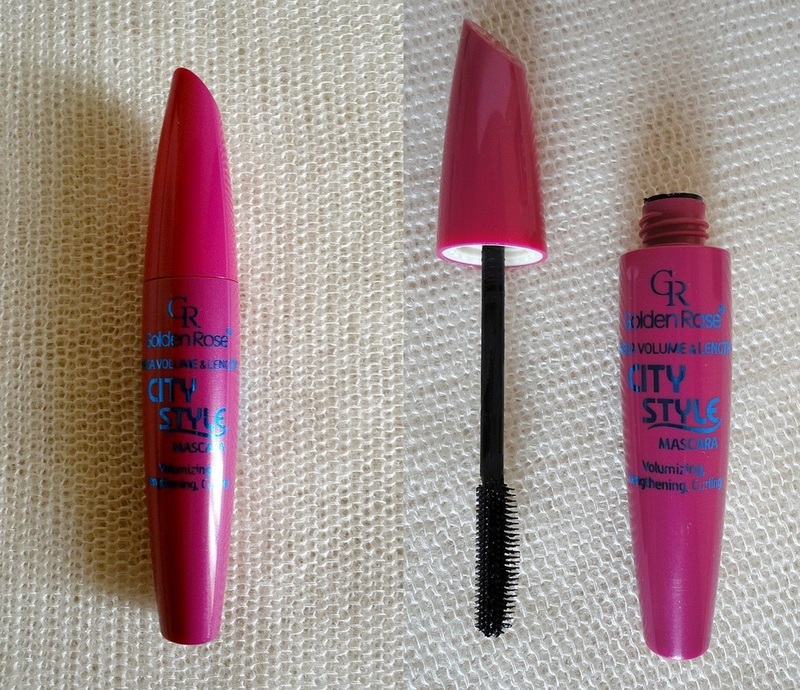 Although I have used the regular Maybelline Volum'Express mascara for years, I had never tried this waterproof formulation. My previous experience with other brands of waterproof mascara is that they are far from perfect. They generally stand up to tears (provided you don't wipe your eyes) but partially dissolve in swimming pool water leaving a more or less obvious black ring. So I put this mascara to the hardest test I know: I went swimming with three layers of it on my long but sparse lashes (yes, it took more coats to achieve the look I want but did not clump). Inside the goggles, the mascara stayed put without melting in the steamy atmosphere, and when I removed the goggles, it did fairly well in direct contact with chlorinated water. Some of it dissolved but, at least, it did not give me the dreaded "panda eyes"! It also passed the tear test and came off easily enough with baby oil and a tissue. It is now my new favourite waterproof mascara. 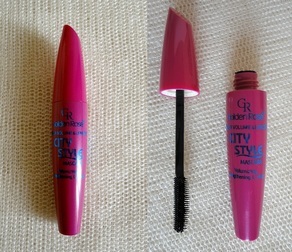 I'm really impressed by this mascara. The large, peanut-shaped brush takes a little getting used to, but I can see how the irregular shape provides lots of curves and different access points to the whole lash arc. It's very easy, and very fast, to get a reasonably full look with the first application, and a second pass makes my long but sparse lashes look quite impressive. 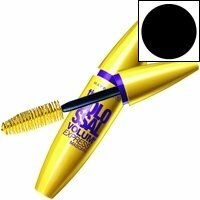 It lasts well, does not shed or run and is lightweight enough that it keeps the curl in my lashes. With some formulations, once the mascara is on, the curl in the lashes is lost and I have to use the lash curler again, which is not ideal. So lightweight but volumising. I have already bought another tube, for my pool bag. UPDATE: Still very happy with this, it doesn't dry in the tube and the full-lash effect is still evident even though months have passed since it was new. This is a true Kohl, soft enough to line the waterline of my eyes (i.e., the inner contour). I use eye pencils mostly for this purpose and sparingly around the whole eye in a smoky, undefined way as I find a hard line so dated and unflattering. Being honest, I don't know anyone who looks good with the old Cleopatra hard black eyeliner. It may be fashionable but it isn't flattering. This pencil glides over the waterline, leaving enough product to make a pretty difference to the expression of my eyes, but does not melt into a greasy mess (which some kohl pencils unfortunately do). It does not irritate my eyes and it stays put reasonably well throughout the day. I also love the choice of colours. This brand is one of the few that actually offers a green shade. Incredible how difficult it is to find a green kohl pencil, let alone a seller who wants to stock it. And that is why I had to buy the Brown instead. I will buy it in Green, now that I know it works as intended, and as soon as I find a daring stockist.